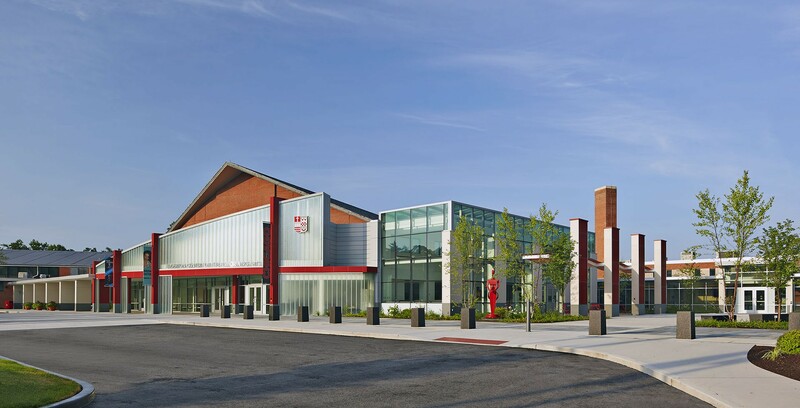 Renovations to the site surrounding the campus center and the new Edgerton Performing Arts Center at Sacred Heart University included new pavements, site furniture, and a signature water feature. 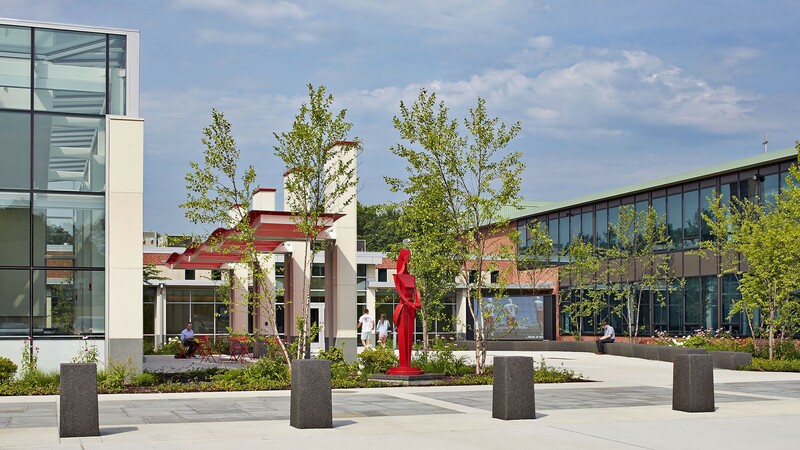 Sacred Heart University is set on 71 acres in Fairfield County, Connecticut. It is New England’s second largest Catholic university. From an initial enrollment of just 173 students in 1963, Sacred Heart has grown to a student body in excess of 6,000. CRJA-IBI Group collaborated with the project architects on the design of a landscaped courtyard, water feature, and a car drop off area as part of an addition and renovations to the existing campus center and the new Edgerton Performing Arts Center on campus. 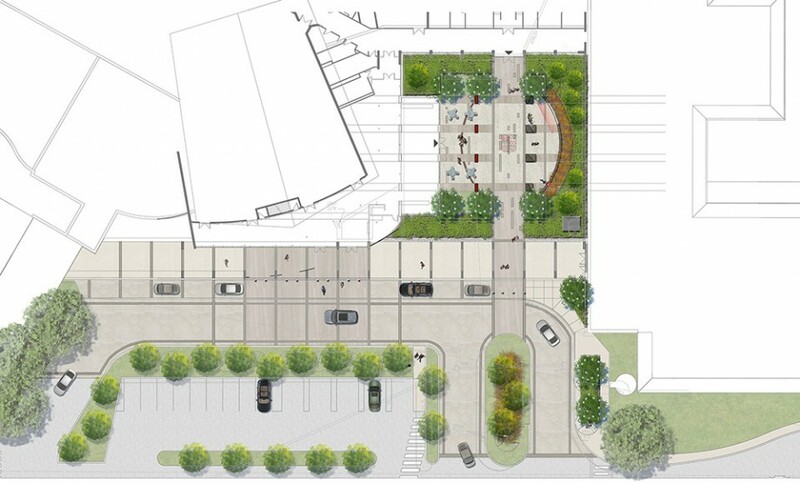 The landscaped courtyard features new pedestrian pavements, site furniture, trellis structures, and site lighting. New plantings further enhance the outdoor space, which has been designed to accommodate outdoor performances and other student gatherings.